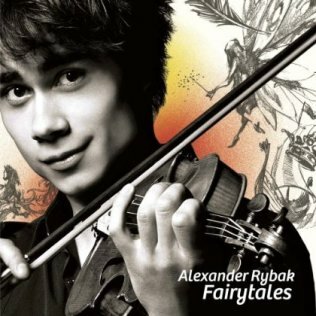 Fairytales is the debut studio album by the Belarusian-Norwegian artist Alexander Rybak. It was released in Norway and most of Europe on 29 May 2009. Most of the songs on the album are written and/or composed by Rybak himself. Alexander Igoryevich Rybak, born 13 May 1986 in Byelorussian SSR, Soviet Union is a Norwegian singer-composer, violinist, pianist, writer, and actor. Representing Norway in the 2009 Eurovision Song Contest in Moscow, Russia, Rybak won the contest with 387 points—the highest tally any country has achieved in the history of Eurovision—with "Fairytale", a song he wrote and composed. His debut album, Fairytales, charted in the top 20 in nine European countries, including a No. 1 position in Norway and Russia.